Sunday morning Terry and I spent a wonderful hour on the grounds of the Kansas City Art Institute wandering among approximately 180 vintage automobiles and motorcycles. 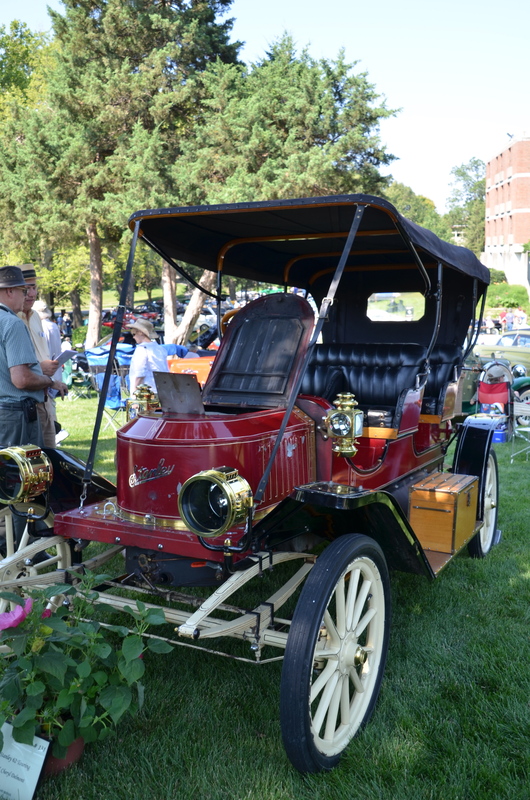 They included U.S., German, English, Swedish and Italian automobiles. Most were truly classics. Every one was worthy of a place in the show. 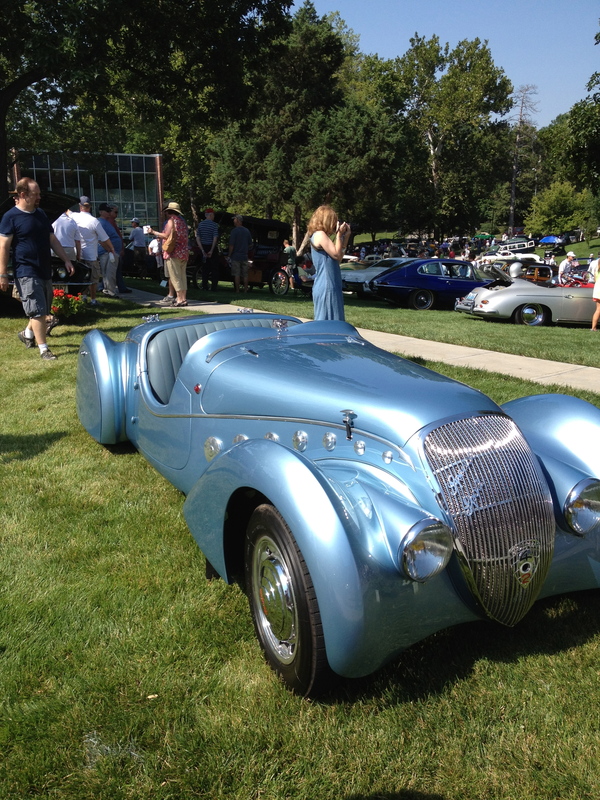 Even by arriving at 10 a.m., when the event opened to the public, we were surrounded by exhibitors, automobile enthusiasts and those who were merely curious to see this remarkable display of history. Many attend every year. Some were there for the first time. 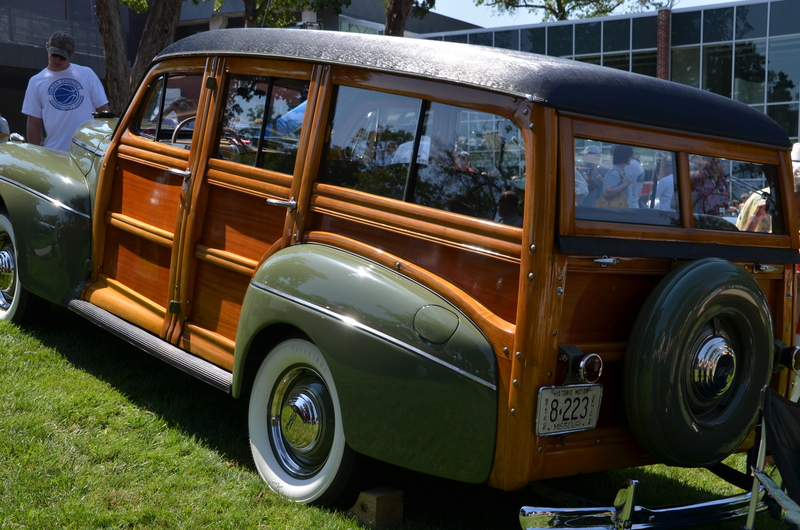 The younger generations will not remember the “woody”, which is remarkable not only because of its exterior wood panels and funny shape, but also because of the songs that sing its praises. Even if you are under 50, maybe you have heard that great song: “I got a ’34 wagon and we call it a woody, surf city here we come” by Jan & Dean. Well, this is a woody and it is pure nostalgia for me! But there were so many wonderful and unique vehicles. 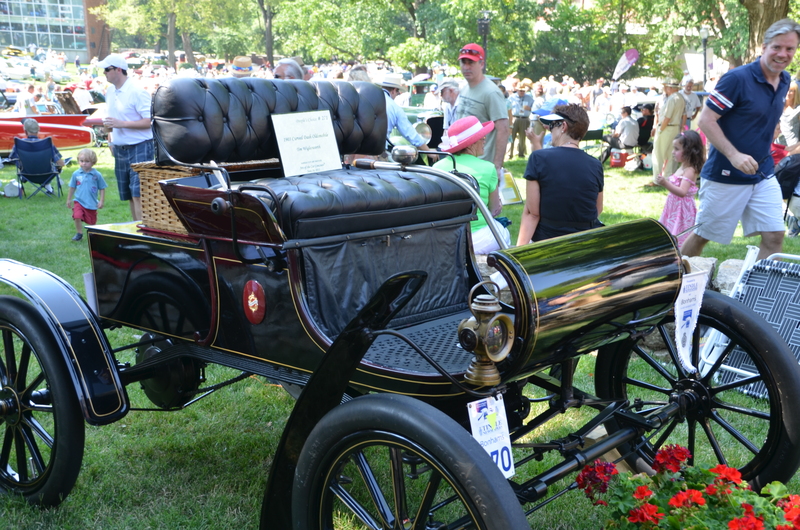 The convertibles and “carriages” reminded me of “toad hollow” meets the “Great Gatsby”. There is no vehicle built today that is as creative, colorful and has nearly the personality as this 1913 Hudson. Or this one, that looks like it should be powered by a horse rather than an engine. I guess that is why they were called “horseless carriages”. Last but definitely not least, here is another real beauty taken from Terry’s iPhone camera. The woman in the background taking a photograph of another wonderful antique is yours truly. 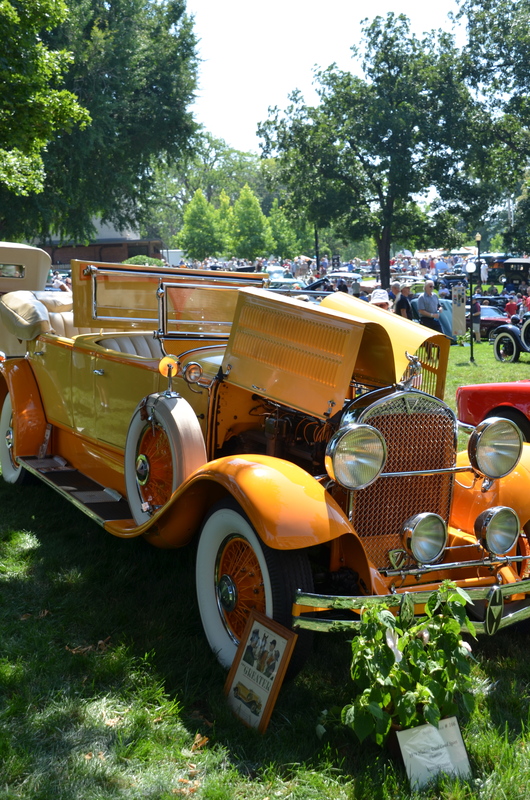 If nothing else I have written about Kansas City has persuaded you to travel to our fair city, maybe you will want to make a special visit to Kansas City for next year’s “Art of the Car Concours”.